Real estate industry has a strong online presence with a large portion of internet-based business. Online agents are spending thousands of bucks on responsive design to attract mobile traffic to their website. An appealing web design can be a difference in promoting a website, which makes it a key area for agents to invest their creative resources. Real estate is a booming business today that employs millions of agents. 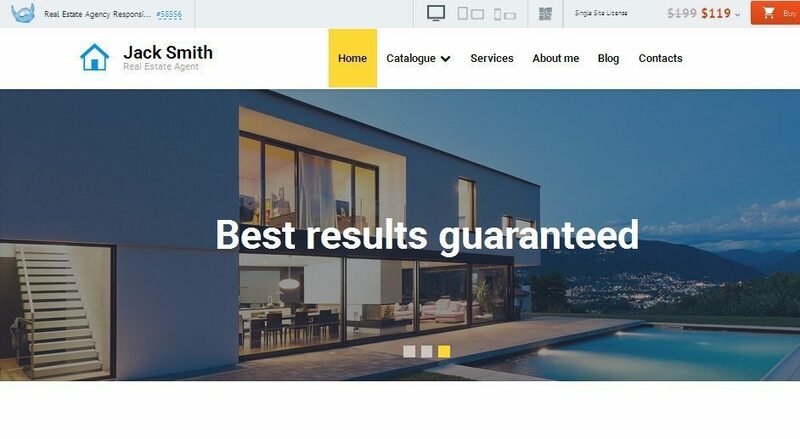 As more investors and consumers are using online resources, many agents are moving toward making a strong online presence to cement their position in real estate industry, and your real estate website design is a big part of an online presence. As a real estate entrepreneur, an appealing web design can amplify your online visibility three-fold. For your business, a website means the first contact point to make an impact on potential customers. For businesses, a website means the first contact point to make an impact on potential customers. Therefore, if you succeed at this crucial stage, you can pave the way for more potential buyers to land at your site and become a client. 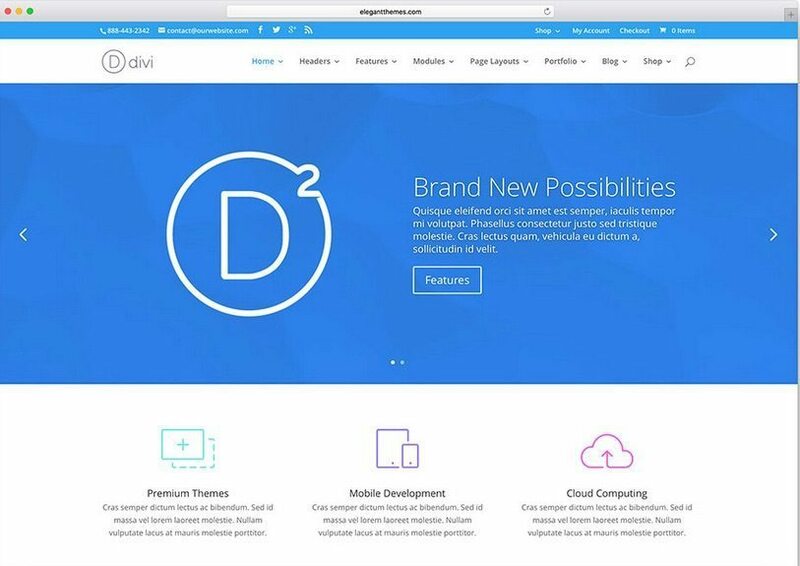 A WorpPress theme created by Elegant Themes, Divi is a feature-rich design that offers a range of design elements and functionalities for a real estate website. What sets it apart is its mind-blowing design that is both captivating to the eyes and easy to navigate. The color selection is extremely thoughtful, and it augments with the beauty of the design. For agents, this web design offers both elegance and practicality. 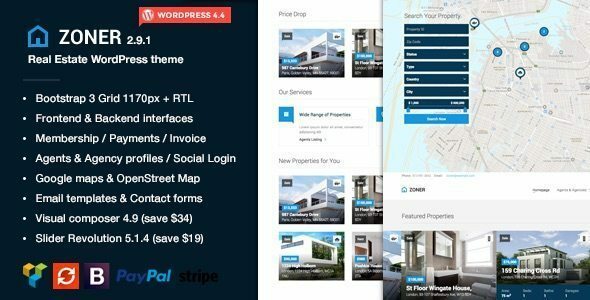 Real Homes is a fantastic WordPress theme for real estate business. Its simple, minimal graphic elements direct the eyes to useful sections. Real Homes is a fantastic WordPress theme for real estate business. What is particularly commendable about this design is the integration of Google Maps, which allows users to view closely vicinity of their future property. Known for its awesome browsing features, it is one of the most visually appealing web designs you can take inspiration from. 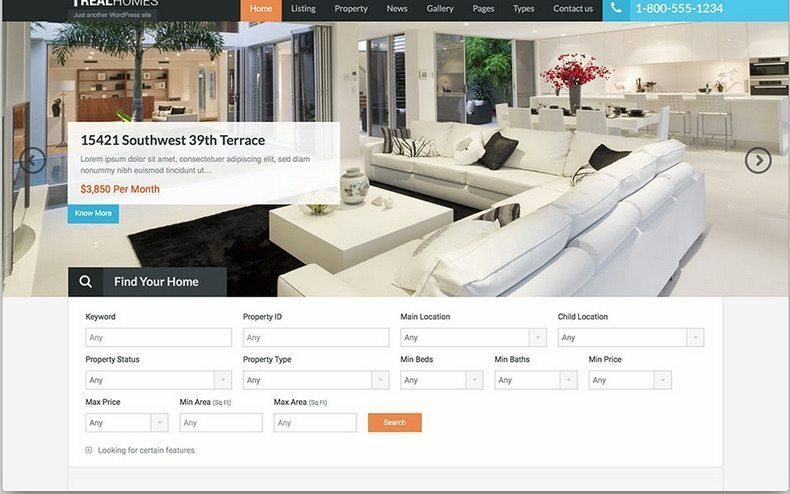 Sleek design, appealing visual element and feature-rich functionality, this real estate theme offers plenty of ideas for agents to make a strong online presence. This incredible theme uses traditional colors that accentuate its true elegance and simplicity, which enables visitors to browse useful resources easily. So, they end up getting right information without wasting their time. It also features Google Maps to help users easily locate their estate and find areas in proximity. 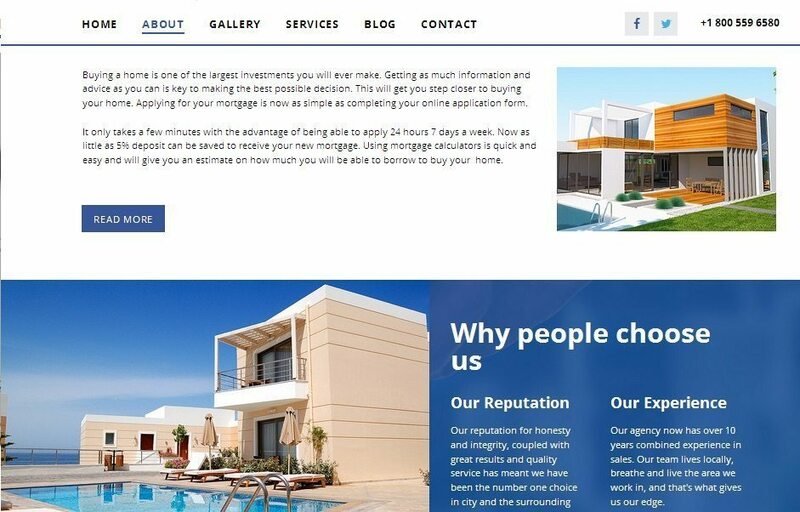 This brilliant WordPress real estate design is created by Cowboy. This inspiring web design idea tempts designers who have a knack for minimal design. It’s based on Parallex Scrolling, which saves space and gives room for more details. Apart from being exceptionally elegant, it is highly responsive, which means your clients can access your website from any screen size. If you are a designer who has a thing for contemporary design, then this design template should be your inspiration for your real estate web design project. This real estate design template is a brainchild of Rino, who kept it both contemporary and stylish. It gives inspiration for designers on how to make a design that looks modern and funky to visitors. Great designs are created by great creative minds. This real estate web design is conceived by Brian Mitchell. It stands out for its sleek layout and a mix of pastel colors that add substance to the overall design. The designer subtly designs core sections to make the design more interactive to visitors. What you get is a fantastic design that attracts the attention of visitors. Inspiration is the first step to creating any artistic design. Hope, the design mentioned above ideas will tantalize your creative side and inspired you to design a masterpiece real estate web design. Inspiration is the first step to creating any artistic design. Eileen Burton works with Assignment Valley. Check her out on Google-Plus.